The U.S. pot market is expanding rapidly, with legal spending expected to reach US$22 billion by 2022, according to Arcview Market Research and BDS Analytics. This is reflected in the growing number of large U.S.-focused cannabis companies listing on the Canadian Securities Exchange, which is one of the only exchanges that will accept them. Seven of the 10 largest pot stocks by market value are now focused primarily on the U.S.
HMMJ is the largest Canadian cannabis ETF, with more than $1 billion in assets. 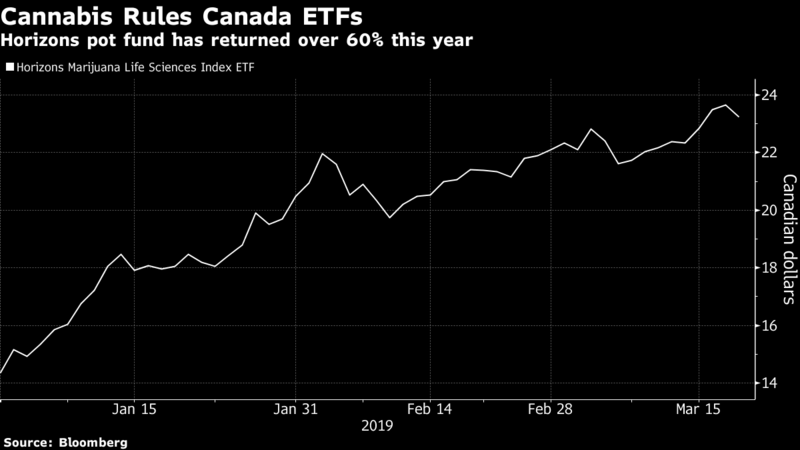 It has returned over 60 per cent this year, making it the best-performing equity ETF listed in Canada. South of the border, the ETFMG Alternative Harvest ETF, with US$1.2 billion in assets, does not include any companies growing or distributing marijuana in the U.S. either because the drug remains illegal at the federal level.